If you're a Firefox user, BugHerd offers a seperate version of the BugHerd Browser extension just for you. Installing the Firefox extension is super simple. You can get the browser extension from https://www.bugherd.com/extensions. Click on the Firefox icon to download the browser extension. When you've downloaded the browser extension, open the downloaded file in Firefox. Please note: you may see this warning when opening the file. Don't worry about it, this is just shown because you're not downloading this extension from the Firefox Addon store. Once you have opened the file, BugHerd will need you to grant us some permissions so that we can work on your website. Click the Add button to grant us access. And that's it. Once the extension is successfully installed you will see a message like the one below. Now that you've got the extension installed, go ahead and login at bugherd.com to access your projects. 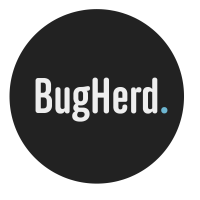 And if you would like a quick introduction to getting started with BugHerd, watch this video.